Otra Vez is Spanish for again or another time. We believe in giving everyone & everything a second chance. 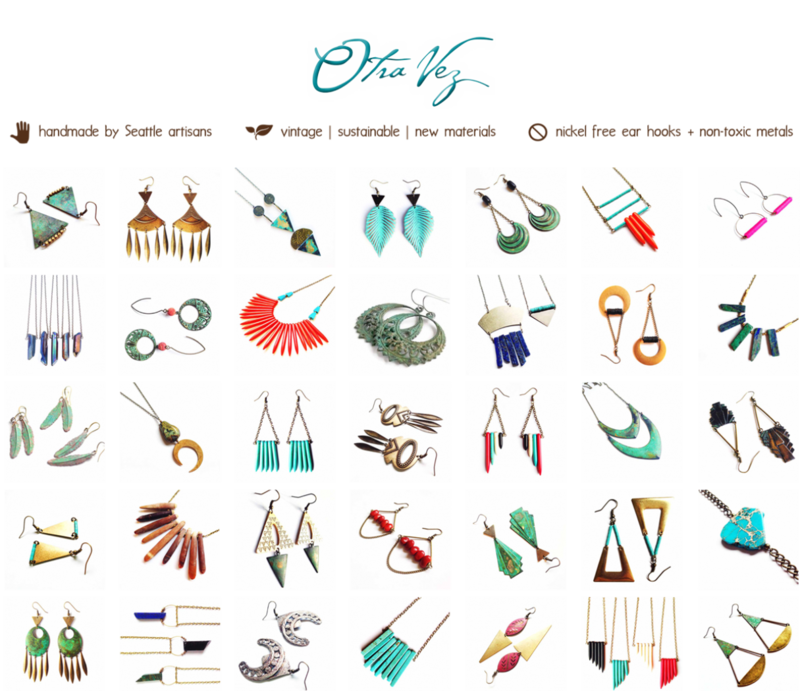 At Otra Vez Ecotique we create unique, handmade jewelry, using a mix of vintage, sustainable and new materials. Our passion is to give back to local and global communities. We are proud to employ, equip and empower local women artisans in our Seattle co-op, giving them the opportunity to learn business, language and life skills. We believe that the woman is the heart of every society across the world. When women are empowered, their families and communities thrive. We’re changing the world – one woman at a time! It is our privilege to donate 10% of our net proceeds to directly support two amazing organizations doing big things to alleviate poverty and support women worldwide – Women for Women International and the Whole Foods Market, Whole Planet Foundation. We are committed to developing and maintaining outstanding relationships with our customers, dynamic retailers, & industry buyers. If you would like to make a purchase, to establish a wholesale account, or for more information about our company, please fill out the contact form below, including your name, business name if applicable and email. We look forward to connecting with you soon!